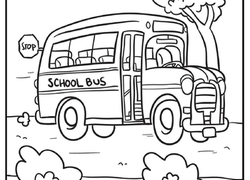 This coloring page features a train that's slowly chugging along the railroad tracks in the beautiful countryside. It's tough to find a kid that doesn't love trains! 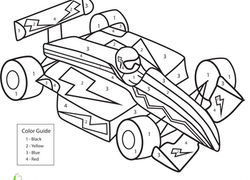 This worksheet lets your child trace and colour his favorite vehicle. 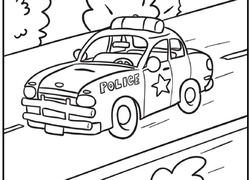 This transportation coloring page features a police car racing down the road. 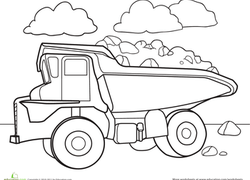 Here's a dump truck coloring page boys are sure to love! This mighty dump truck is piled high with dirt. This cool worksheet helps your kid get a handle on writing the number 2, as she practices counting. 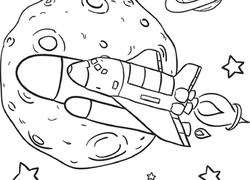 Here's your child's chance to explore outer space with a fun rocket ship coloring page. The sun is shining and the waves are splashing. 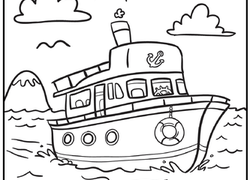 What better way to spend the day than on a fun boat ride? 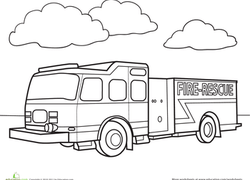 Break out your red crayons for this fire truck coloring page. It's ready to come to the rescue! 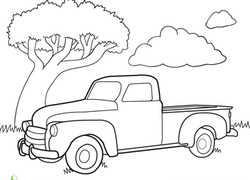 Delight your little car lover with a classic truck coloring page. Finish the Drawing: What's Missing? 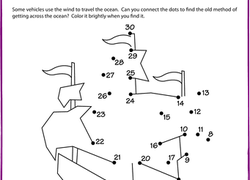 This Finish the Drawing car worksheet lets your child fill in the missing information. 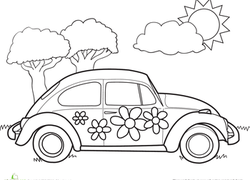 Try this Finish the Drawing car worksheet with your little artist. Your child will be on their way to learning about space and science when they get started with this rocketship coloring page. 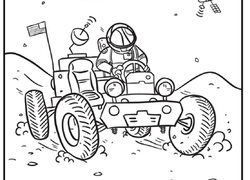 Blast off to the moon with an out-of-this-world coloring page featuring an astronaut piloting a lunar rover.